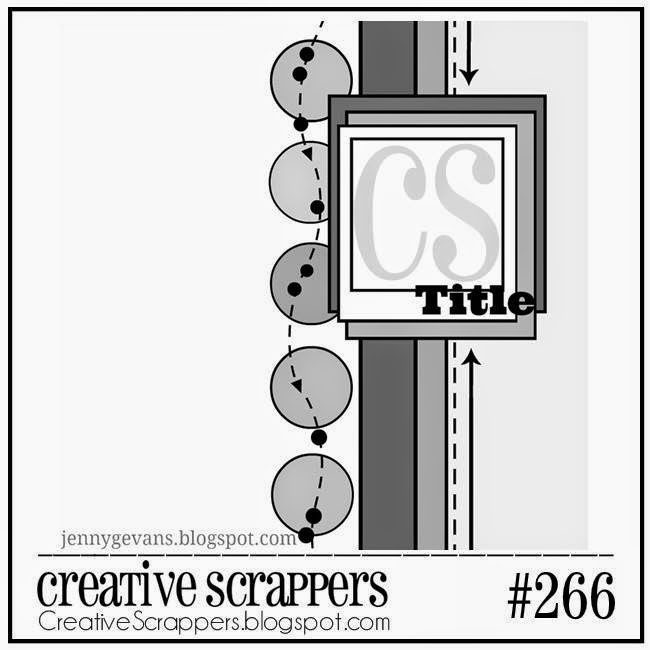 We're having a new sketch for you at Creative Scrappers and it's sponsored by Scraptastic kit club. 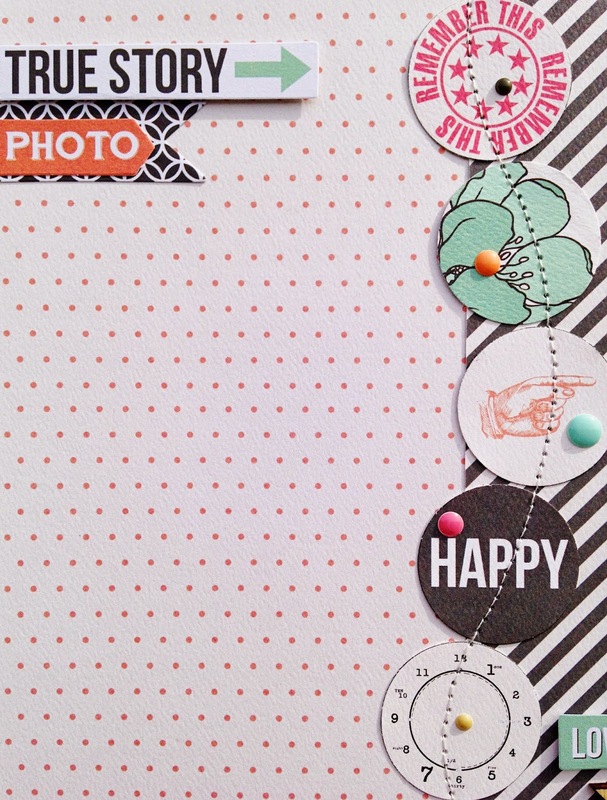 When I saw this sketch, I immediately thought of the Teresa Collins Daily Stories collection because of the Circles paper. I used a 1,5 inch circle punch and created the circle border. 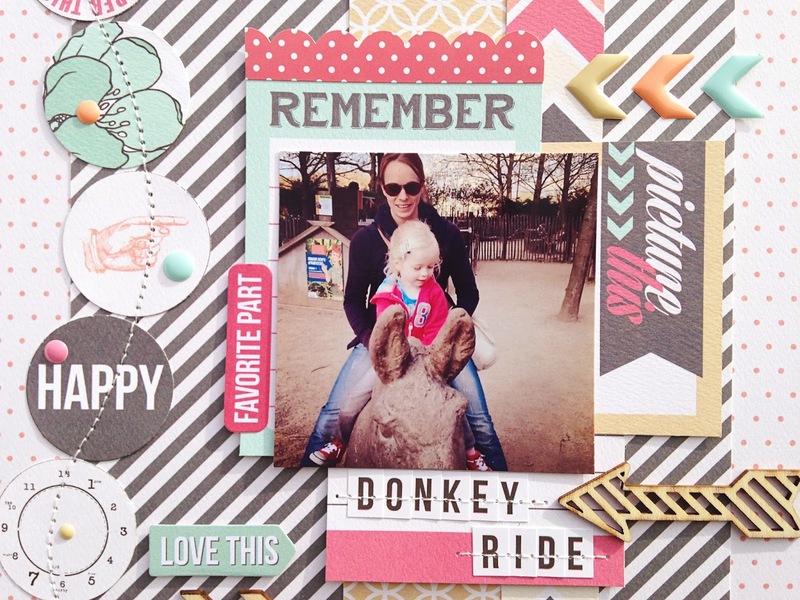 Be sure to link up your layouts based on our April sketches overhere at Creative Scrappers for your chance to win a Scraptastic kit! This is gorgeous!! 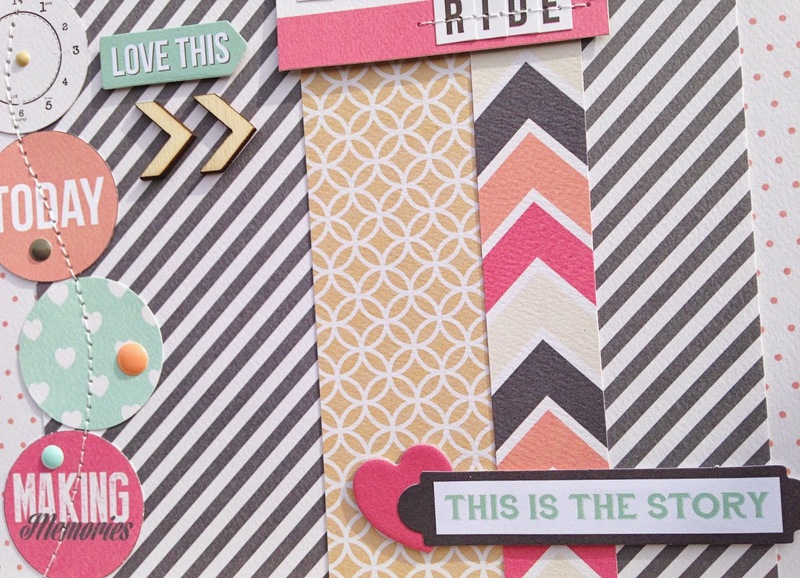 LOVING the colors and love love love the circles!! I love how the stitching gives the page motion - great technique!